Bull Run Quarries, nestled in the Bull Run Mountain chain near The Plains, Virginia, has a rich history of supplying building stone and flagstone to masons throughout the region. 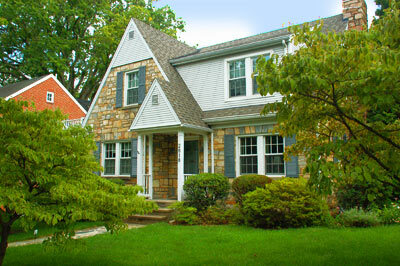 There is no shortage of residences and historic landmarks built with Bull Run® stone since the 1800s. These landmarks are found prominently in the Northern Virginia, DC, and Maryland area. A house at the entrance to the Bull Run Quarries property marks the location of the home of past property owners. Over the years, each owner would live off the land by operating the modest quarry deep within the woods on the property. Although the name has changed, the quarry has maintained continuous operation throughout the last century and is still in operation. Today, Bull Run Quarries is the only quarry that supplies this unique stone to our region. Process. Stone used in any construction must first be extracted from a quarry and dimensioned into a usable building material. Although the tools and methods evolved, splitting rock has always been part of this process. 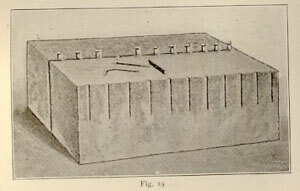 Early methods centered on the use hand tools such as hammers, manual drills, chisels and wedges. As methods and tools evolved, mechanical devices began to take the place of the more labor-intensive manual tools to accomplish the task of splitting stone. Today, the hydraulic splitter is a common tool found at just about any building stone quarry. It works by having an operator place the stone on the conveyor and lowering a set of hydraulically-actuated cutting teeth on the stone at high force. The teeth focus all the force in a straight line along the top and lower surfaces of the stone until it splits cleanly along that line. Although the hydraulic splitter essentially performs the same function as was previously accomplished manually, it has improved the quality and timely delivery of the product. At Bull Run Quarries, there is still a place for the old tried and true methods. Workers still employ the hammer and chisel methods to produce much of our product. 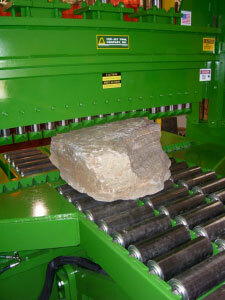 However, we also employ the use of a hydraulic splitter, providing a wider selection of premium stone products. Although most hydraulic splitters are diesel-powered units, our splitter is electrically powered, making it an environmentally friendly solution.